Dina (born Ondina Maria Farias Veloso; 18 June 1956 – 11 April 2019) was a Portuguese singer, best known for her participation in the Eurovision Song Contest 1992 in Malmö. Festival da Canção or Festival RTP da Canção is the name given to the national festival, produced and broadcast by Rádio e Televisão de Portugal (RTP) to choose the Portuguese entry for the Eurovision Song Contest. It was first held in 1964. "Amor d'água fresca" was the Portuguese entry in the Eurovision Song Contest 1992, performed in Portuguese by Dina. Rita Guerra is a Portuguese singer. Dora Maria Reis Dias de Jesus is a retired Portuguese singer. "Teriazoume" was the Cypriot entry in the Eurovision Song Contest 1992, performed in Greek by Evridiki. The participation of Portugal in the Junior Eurovision Song Contest first began at the Junior Eurovision Song Contest in 2006 which took place in Bucharest, Romania. Rádio e Televisão de Portugal (RTP), a member of the European Broadcasting Union (EBU), were responsible for the selection process of their participation. Portugal used a national selection format, broadcasting a show entitled "Festival da Canção Junior", for their participation at the contests. This was a junior version of Festival da Canção, the national music competition organised by broadcaster RTP to choose the Portuguese entry for the Eurovision Song Contest. The first representative to participate for the nation at the 2006 contest was Pedro Madeira with the song "Deixa-me sentir", which finished in second-last place out of fifteen participating entries, achieving a score of twenty-two points. Portugal withdrew from competing in 2008, and returned in 2017. Their worst result till date has been achieved by Rita Laranjeira with her song "Gosto de Tudo " in the Junior Eurovsion Song Contest 2018 where she placed 18th. "Penso em ti, eu sei" was the Portuguese entry in the Eurovision Song Contest 1985, performed in Portuguese by Adelaide. "Lusitana paixão" was the Portuguese entry in the Eurovision Song Contest 1991, performed in Portuguese by Dulce. Portugal was represented at the Eurovision Song Contest 2008 by Vânia Fernandes with the song "Senhora do mar ", being the forty-second Portuguese appearance at the yearly contest. Portugal will be present at the Eurovision Song Contest 2009 in Moscow, Russia. Portugal's entrant was chosen through the Festival da Canção 2009, held on 28 February 2009 by the Portuguese broadcaster Rádio e Televisão de Portugal (RTP). The winner of the contest was Flor-de-Lis with "Todas as ruas do amor", gaining maximum marks from the jury, as well as coming second in the televote. Portugal entered the Eurovision Song Contest 1992, held in Malmö, Sweden, with Dina with the song "Amor d'água fresca" after she won the Portuguese national final, Festival da Canção 1992. At Eurovision, she received 26 points, placing 17th in a field of 23 competing countries. "Todas as ruas do amor" is a song by Portuguese band Flor-de-Lis, and was the Portuguese entry to the Eurovision Song Contest 2009. The song was composed by Paulo Pereira and Pedro Marques. Portugal will select its entry for the Eurovision Song Contest 2010 through the Festival da Canção competition, organised by Portuguese national broadcaster Rádio e Televisão de Portugal (RTP). A number of changes will be made to the format of the contest from the past number of years, with two semi-finals and a final being held over one week in March 2010 to select the winner to represent Portugal in Oslo, Norway in May 2010. Catarina Pereira is a Portuguese singer, dancer and actress. Catarina competed in the Festival da Canção 2010, as well as in the 2014 edition, with the songs "Canta Por Mim" and "Mea culpa" respectively, finishing in 2nd place in both occasions. 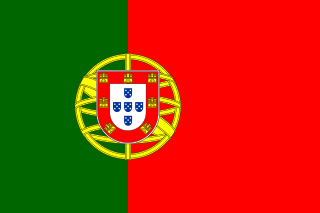 Portugal participated in the Eurovision Song Contest 2014 in Copenhagen, Denmark. Their entry was selected through the national final Festival da Canção 2014, organised by the Portuguese broadcaster Rádio e Televisão de Portugal (RTP). Suzy performed the Portuguese entry "Quero ser tua", written by Emanuel. The song failed to qualify from the first semi-final, placing 11th with a score of 39 points. Portugal participated in and won the Eurovision Song Contest 2017 with the song "Amar pelos dois", written by Luísa Sobral and performed by her brother Salvador Sobral. Portuguese broadcaster Rádio e Televisão de Portugal (RTP) organised the national final Festival da Canção 2017 in order to select the Portuguese entry for the 2017 contest in Kiev, Ukraine. After 16 songs competed through two semi-finals and a final, "Amar pelos dois" performed by Salvador Sobral emerged as the winner, collecting the most points from a 50/50 combination of votes from a jury made up of music professionals and a public televote. "Amar pelos dois" is a song performed by Portuguese singer Salvador Sobral and written and produced by his sister Luísa Sobral. It premiered on 19 February 2017, when it was performed in Festival da Canção 2017, Portugal's national selection for the Eurovision Song Contest 2017, and was released as a digital download on 10 March 2017 by Sons em Trânsito. Portugal participated in the Eurovision Song Contest 2018. In addition to participating in the contest, the Portuguese broadcaster Rádio e Televisão de Portugal (RTP) also hosted the event on 8, 10 and 12 May 2018, at the Altice Arena in Lisbon, after winning the competition in 2017 with the song "Amar pelos dois" performed by Salvador Sobral. Portugal will participate in the Eurovision Song Contest 2019 in Tel Aviv, Israel with the song "Telemóveis", performed by Conan Osíris. The Portuguese entry for the 2019 contest was chosen through the national selection Festival da Canção, organised by the Portuguese broadcaster Rádio e Televisão de Portugal (RTP), which consisted of two semi-finals on 16 and 23 February, and a final on 2 March 2019. ↑ Cardoso, Joana Amaral; Nogueira, Rodrigo; Salema, Isabel. "Morreu Dina, uma pioneira da canção pop". PÚBLICO (in Portuguese). Retrieved 2019-04-12. ↑ "Eurovision Portugal: Dina passes away aged 62 - ESCToday.com". Eurovision News, Polls and Information by ESCToday. 2019-04-12. Retrieved 2019-04-12.
with "A cidade (até ser dia)"